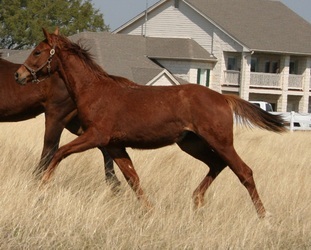 Santana is by 2009 North American 30 Day Stallion Test Champion, Sonntagskind. Sonntagskind was also the 2009 North American 70 Day Test Reserve Champion. 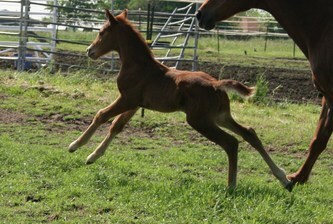 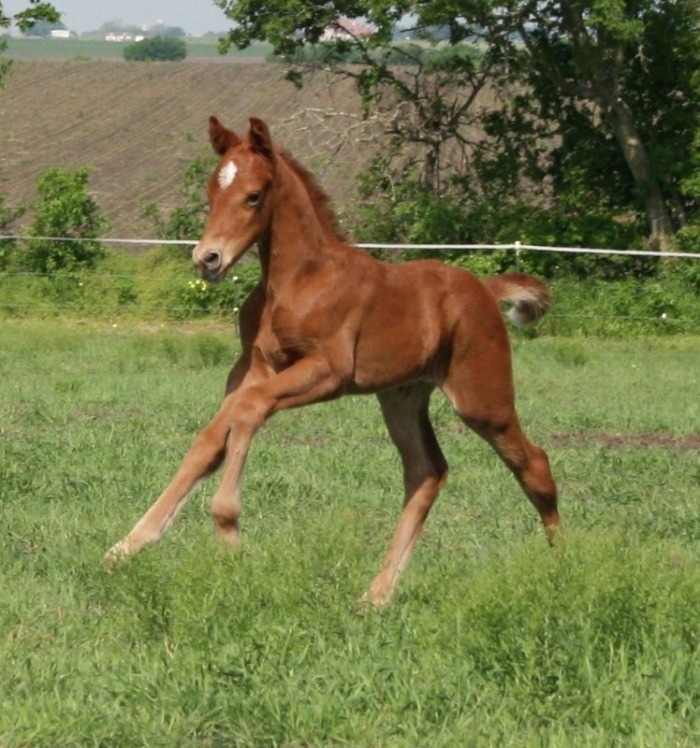 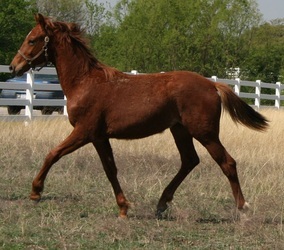 He is by legendary Sandro Hit and out of a Donnerhall/Rubinstein I mare. 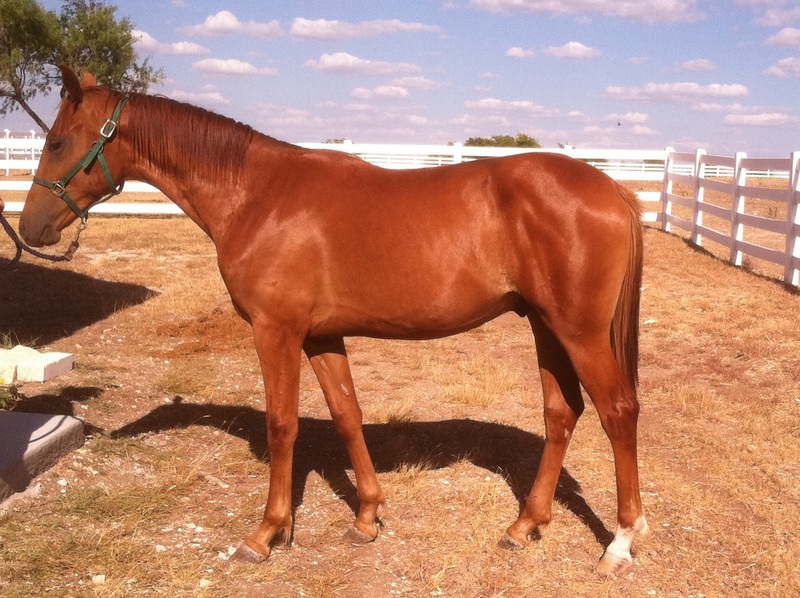 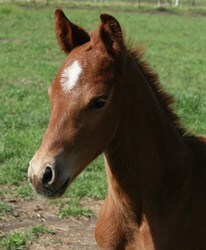 Santana is a beautifully conformed colt . He should be a super athlete. 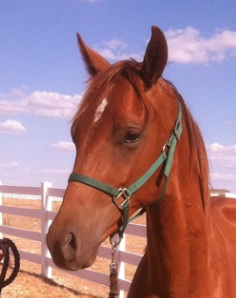 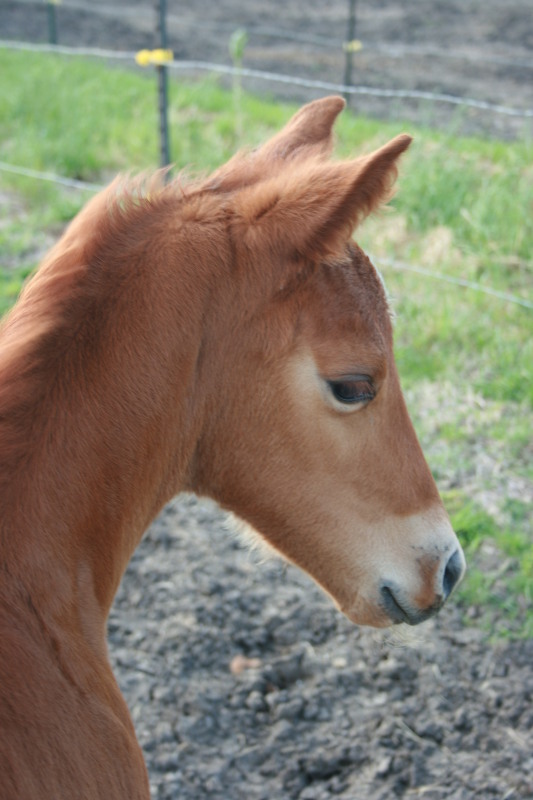 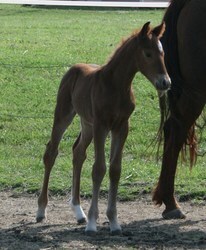 Santana will be registered with the American Hanoverian Society.